Traveling to New Jersey? This is the right spot on the net to find places to swim in New Jersey. Every day you might be not swimming you will be losing precious time to improve your abilities a be a greater swimmer! No extra excuses!. These are the Salt Water Pools in New Jersey other users have reported. Are you a local and your pool isn't listed? Contact us to ADD IT. It is totally free! We currently have the following Pools, but we are consistently grateful for any corrections or contributions. Get in touch by way of our make contact with form. Are you on holiday and desire to maintain fit and healthy? 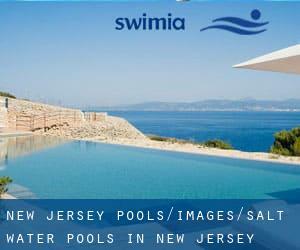 Swimia.com offers you the very easy and quickest approach to find pool near New Jersey. There are often discounts available to senior citizen and little youngsters. Find out by contacting your nearest pool in New Jersey. Are you a standard swimmer? Do you visit exactly the same Salt Water Pools in New Jersey? Please check that all the details for your aquatic center are correct and contact us for those who uncover any mistake. Without a shadow of a doubt, swimming in Paterson may be the perfect strategy to unwind after work. Take a couple of minutes to browse Swimia's catalog to find a Pool in Paterson. It's difficult to visit New Jersey devoid of dropping by Toms River (with 88.791 residents). Currently Swimia is showing you all of the Swimming Pool in Toms River as well as the closest pools located in its vicinity. Let us tell you a secret to switch off while you're in Edison: just select a Swimming Pool in Edison and plunge into the water! There's no alot more effective method. Holding an estimated population of 247.597, Jersey City is one of the most important cities in New Jersey. Check all the Swimming Pool in Jersey City and its surrounding area. Whereas Elizabeth is among the six most populous cities in New Jersey with nearly 124.969 residents, you shouldn't miss that one if you're going to New Jersey. Swimming can be a wonderful idea to keep your body active in the course of your visit to Newark (New Jersey), or even if you are a local. Swimia helps you to find your closest Swimming Pool in Newark. Updated on 2019 Highway 30A , Alys Beach , FL , USA (Postal Code: 32461). Swimmers like you have reported 100 feet x 50 feet, Salt Water, Outdoors. Also, you will find 25 yards, Outdoors. If you need to make contact with this Swimming Pool, email address and phone number are both number. 2880 Michelle Drive , Irvine , CA , USA (Postal Code: 92614). Among all the activities supplied by the center, if you are considering swimming you can expect to get pleasure from 25 yards, 3 lanes, Salt Water, Indoors. Just in case you want to contact this Pool prior to dropping by, we only know the phone number. 150 Thunder Trail , Ketchum , ID , USA (Postal Code: 83340). Swimmers like you have reported 25 yards, 6 lanes, Salt Water, Outdoors. Also, you will find 25 yards, 3 lanes, Salt Water, Indoors. If you need to make contact with this Swimming Pool, email address and phone number are both number. Updated on 2019 78-128 Ehukai St. , Kailua - Kona , Island of Hawaii, HI , USA (Postal Code: 96740). Swimmers like you have reported 103 feet x 36 feet, Salt Water, Outdoors. Also, you will find 73 feet x 25 feet, Outdoors. Just in case you would like to make contact with this Swimming Pool prior to dropping by, we only know the phone number.